Dude, we are so stoked! Super stoked! It’s, like, Friday again, bro! We’re gonna be hittin’ them gnarly trails, grabbin’ us a couple of beers, and it’s gonna be sweeeet. Ahem. Let’s try that again. 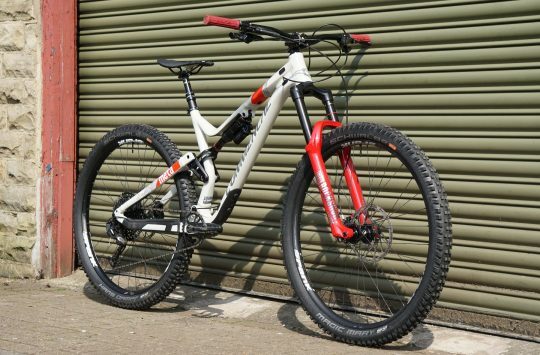 27.5in wheeled, carbon frame with 160mm travel front and rear – so far, standard. But with a 12-Speed Pinion gearbox, this bike from the New Zealand brand has a very different looking rear end. Let’s takes a closer look at that, shall we? Ahem. Avert your eyes, young readers. 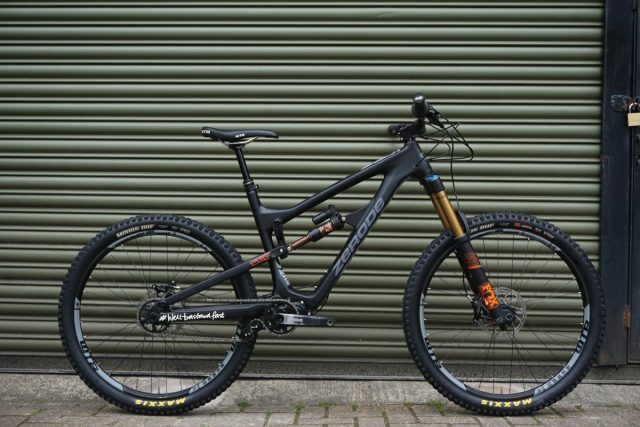 Zerode is perhaps better known for downhill bikes, but this is most definitely an enduro bike, so we’re going to get our mad men Ross and Andi on it for a good thrashing. For a much closer look, wait for our First Look feature, coming soon. Let us start with Wil. We have an exciting road trip coming up (ooh! ), and we’ve been given some fresh threads for the occasion by ZyroFisher. With mesh panels on the chest and back to keep you ventilated, and a pocket for your tunes with headphone conduit to keep you motivated. Or so Wil can listen to tunes, instead of the rest of the road trippers yelling at him to slow down on the climbs. 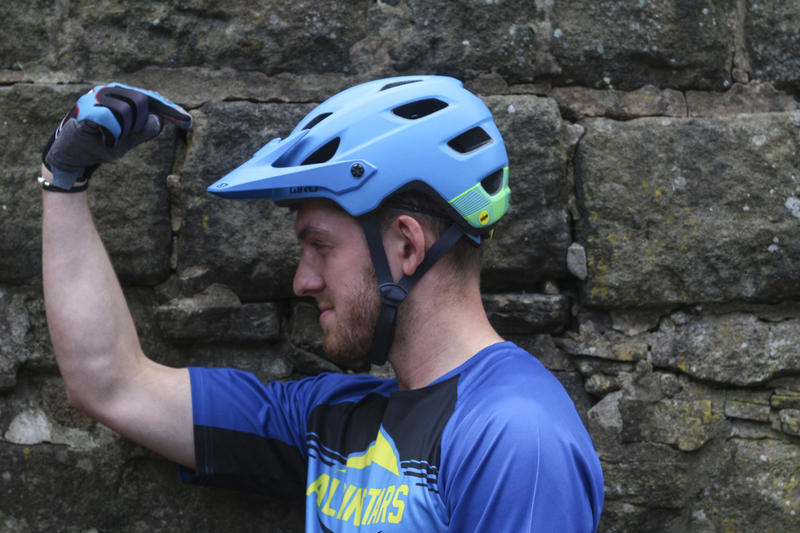 Plenty of head protection, right down to the important bits of brain at the back of Wil’s head. Compatible with the Super 3R chin bar for those full enduro moments, although possibly not with a pout so extensive as this. 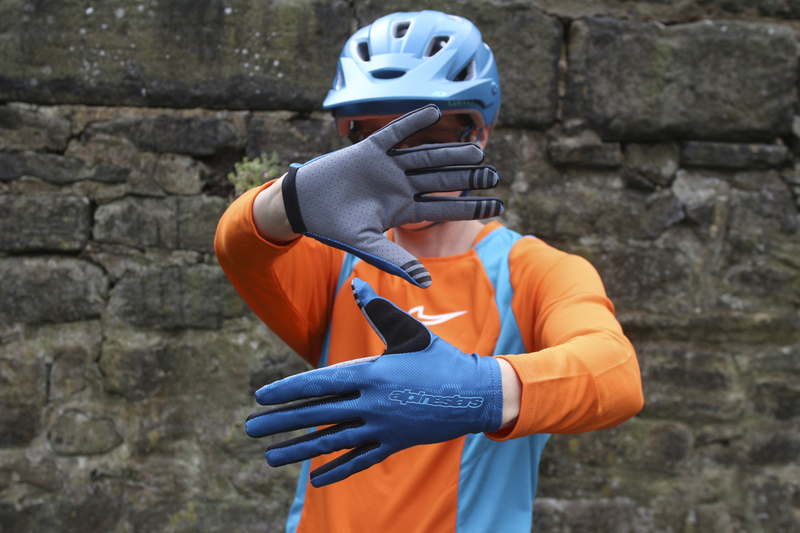 Lightweight gloves with a terry cloth snot, sweat and tears thumb strip, and silicone finger grips for better clinging on abilities. 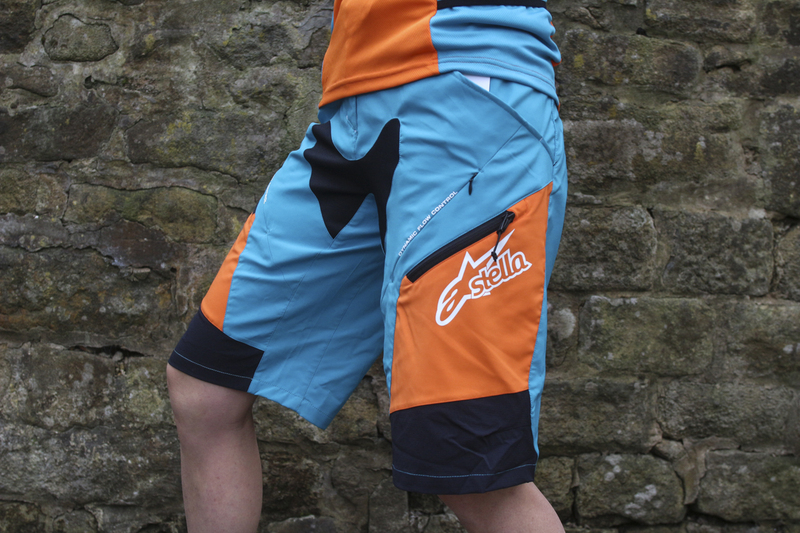 Lightweight but tough shorts with liner included. Zipped pockets plus zipped vents for extra airflow. 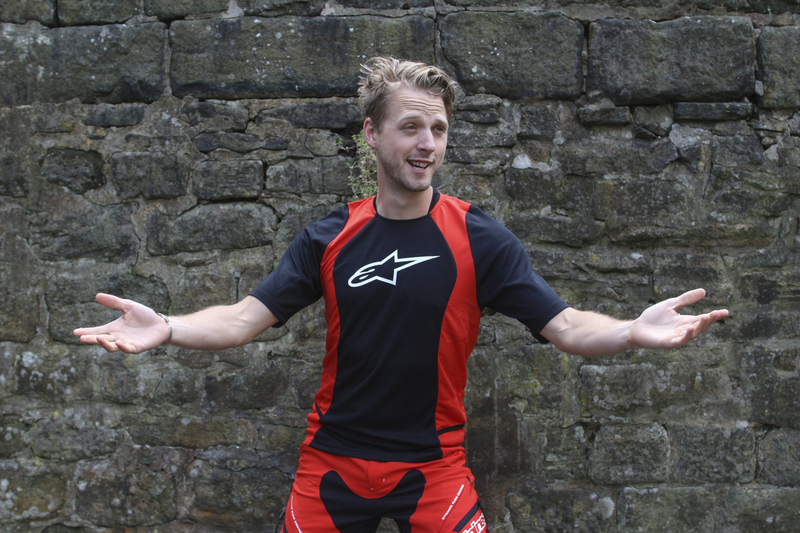 Adjustable waist and stretch crotch for extra manoeuvrability when getting all enduro. Or climbing down that steep bit. 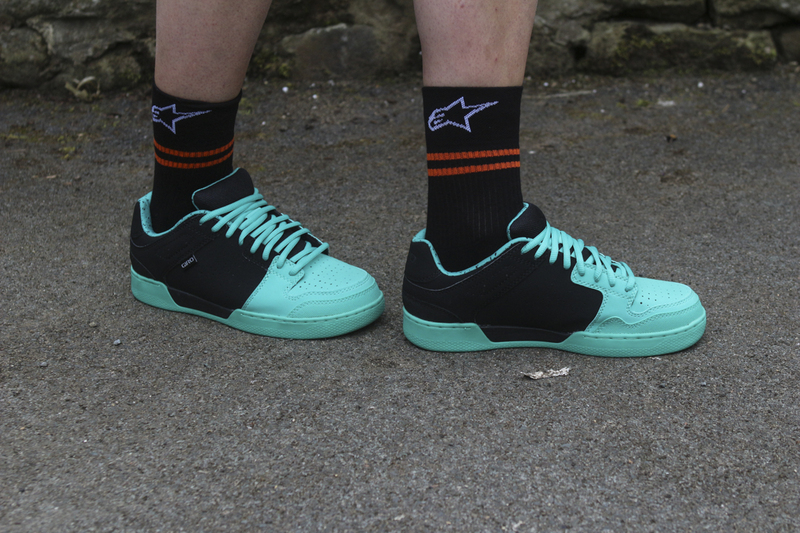 The higher fit of these Mid Terraduro clipless shoes gives your ankles a bit more protection from stones, and you feet more protection from weather. With seven points of adjustment, Wil’s feet should be very comfy. 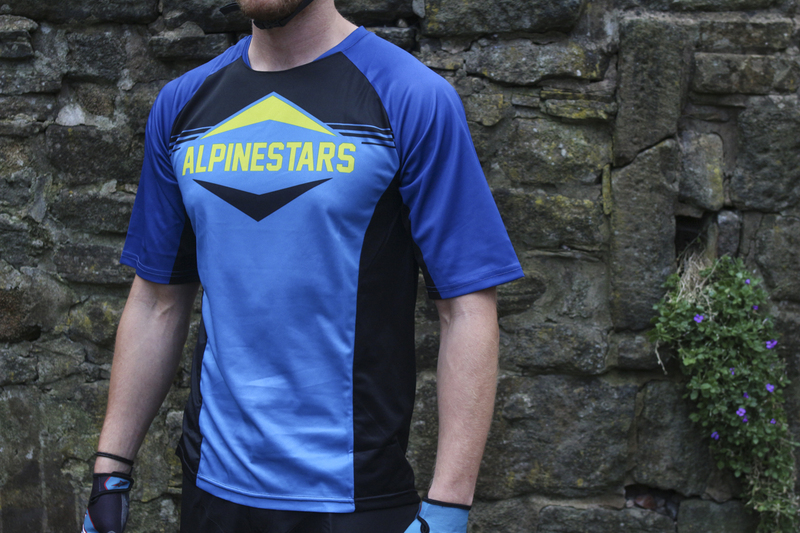 A short sleeve jersey with mesh panels front and rear, for days when it gets hot, or you just want to show off your forearms. Hannah, didn’t get the job with Vogue. With two hip pockets with velcro closures for carrying pies, as with the men’s version this jersey also features a headphone conduit. 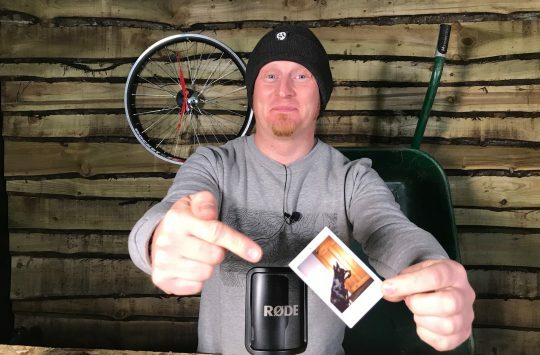 So Hannah will be able to keep her tunes to herself, and Rob and Wil will continue to remain ignorant of music which contains actual instruments. Designed for goggle compatibility with many of the features of the premium Montara helmet. 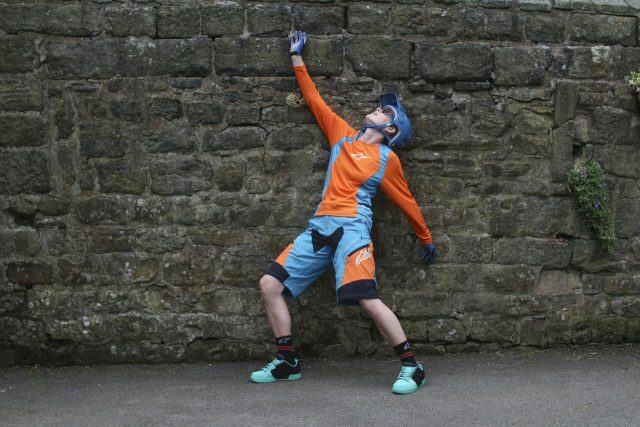 14 vents and CoolMax padding should keep Hannah’s head from overheating when she’s chasing Wil up the hill. 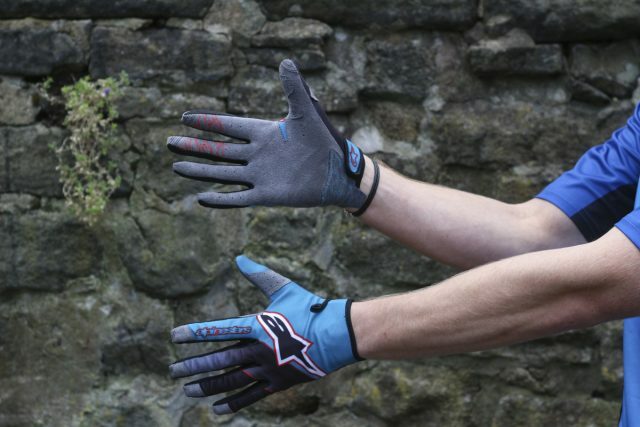 Lightweight and breathable stretch gloves. Silicon grip on fingers for confident braking – which Hannah will be needing as she tries not to snag Wil’s rear wheel, obviously. With seamless crotch construction for added comfort, these shorts come with a padded liner short too. Plus, as with the men’s version, there are zipped vents for added airflow. Three colours are available, none of which include pink – hurrah! Flat pedal shoes with Vibram MegaGrip rubber soles. With EVA cushioning in the mid-sole and a Poron XRD heel pad that helps minimize the impact of hard landings and bailouts, Hannah’s feet should be safe. 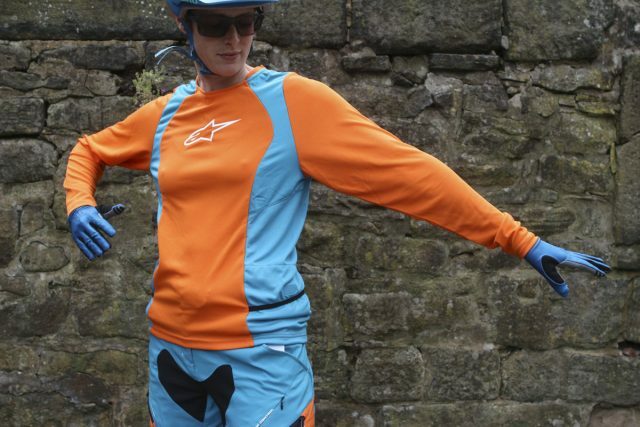 With elasticated and velcro fastened hip pockets for stowage of snacks or tools, plus mesh panels on the chest and back for ventilation, this is a loose enduro style jersey in a women’s specific cut. Unconventional posing, or passed out? Look at the helmet, not the muscles. 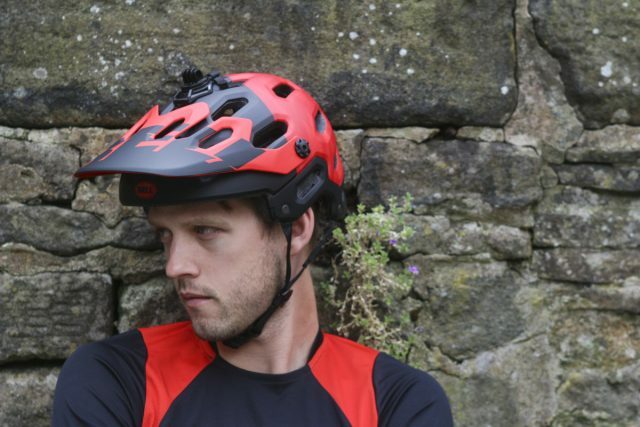 Available in a whopping six colours, this helmet has MIPs to protect Rob’s head, and 14 vents to stop it getting sweaty. 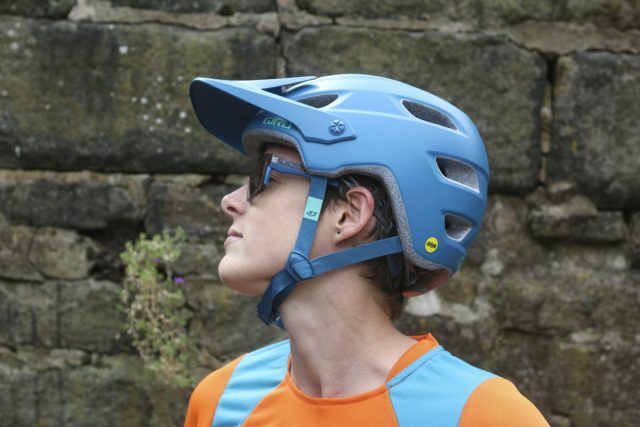 As with the women’s Cartelle helmet, the Chronicle takes its lead from the premium Montaro helmet, giving you many of the same features at a lower price. No holding it in for Crayons. Solid. 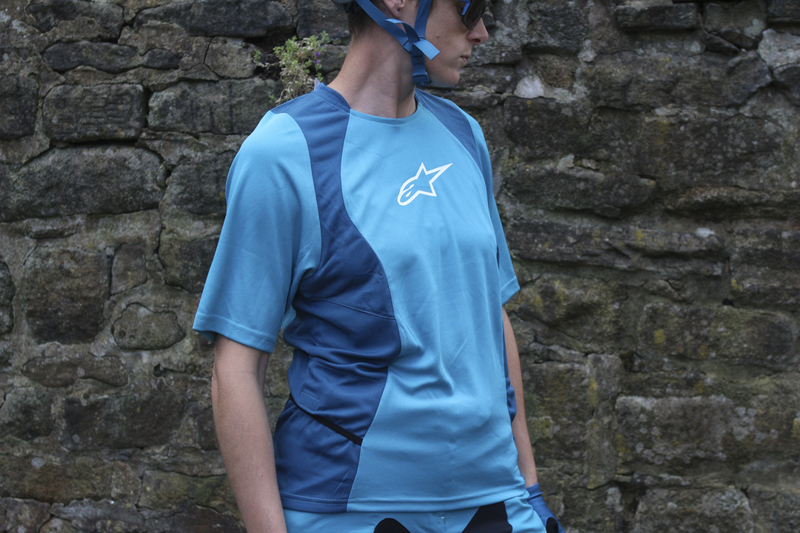 With mesh back and sides to stop our Rob Crayons getting all hot and bothered (and with his artistic temperament, this is important), this jersey has a side pocket with multimedia compartment and headphone conduit. These shorts don’t come with a liner, but they do contain poppers to join them to the Alpinestars liners should you wish to do so. 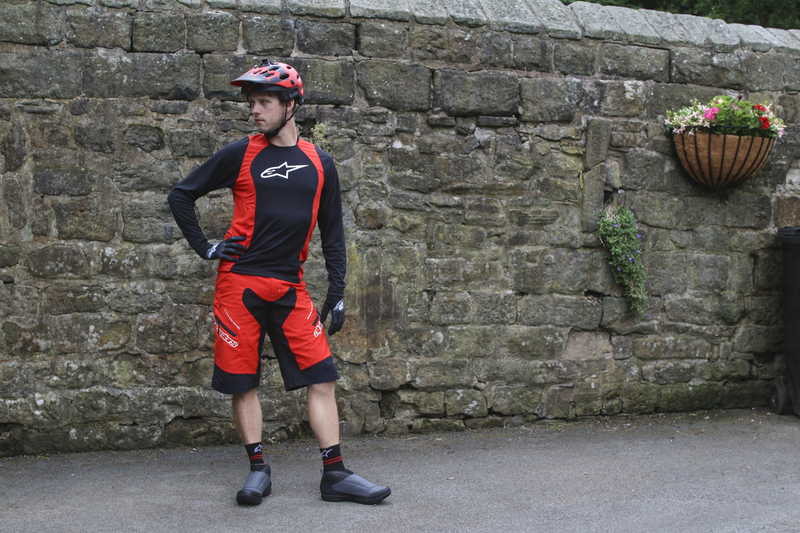 They’re very lightweight, so should be floaty light to ride in, yet with ripstop fabric they’ll be tough if Crayons bins it. These are the hands that do the colouring in. When you need your hands for colouring in, it’s important to protect them on a ride. 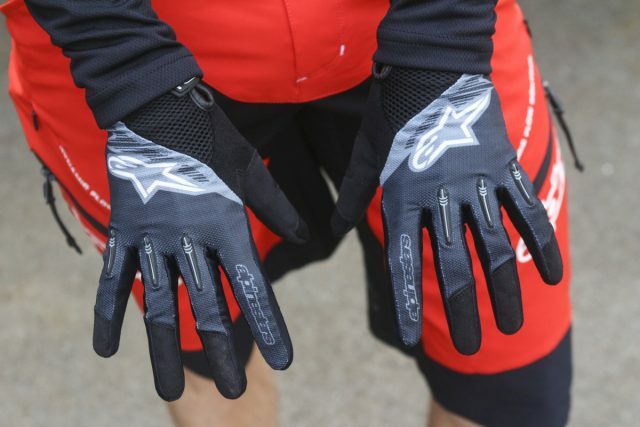 Rob will be wearing these lightweight, single piece spandex upper gloves. They have reinforced thumbs for added strength, so they won’t wear out while he’s dishing out the high fives. 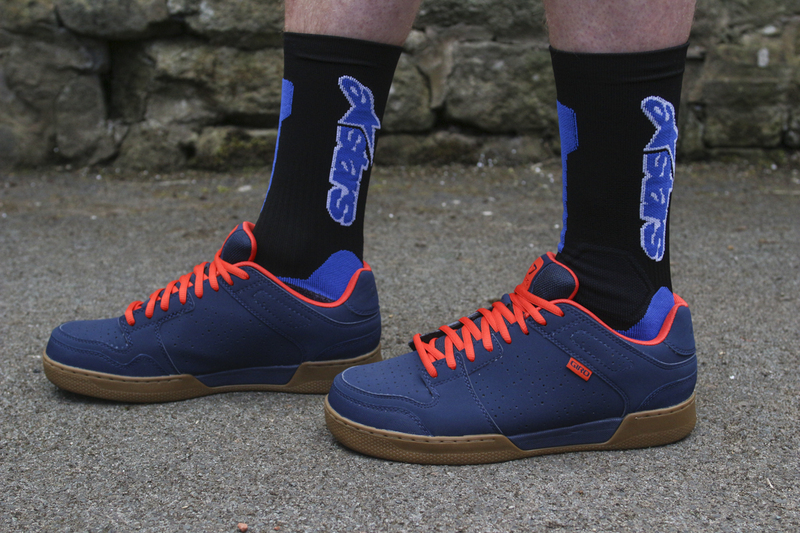 Slim ankles, or big feet? While Wil and Hannah have the lightweight socks to stop their feet getting too hot, Rob has these socks which feature light protection on the shins. The shoes are the same as Hannah’s turquoise ones, just a different colour, and bigger. 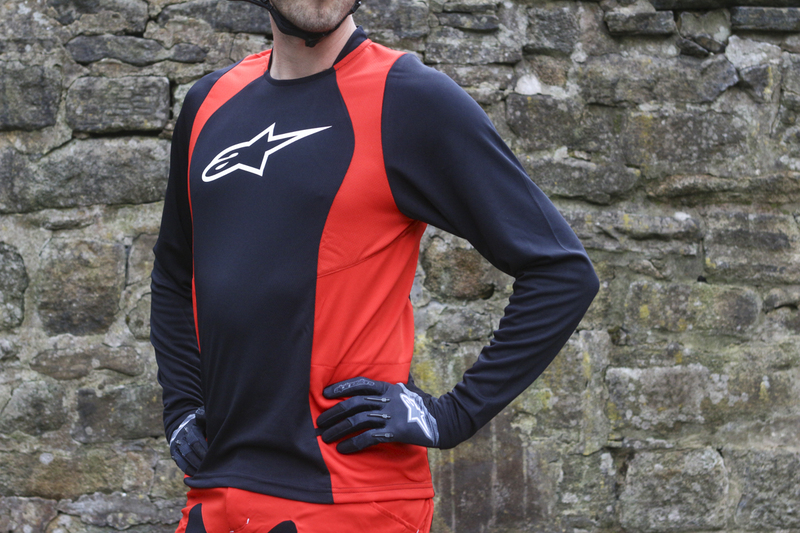 This long sleeved version of the short sleeved Mesa features contoured and tapered sleeves, so Crayons can continue looking buff. 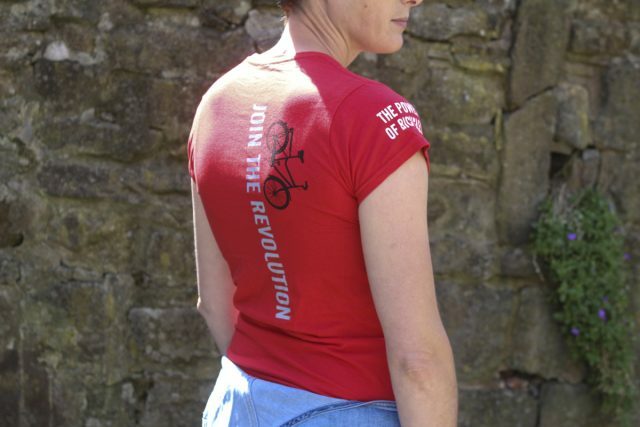 You can’t buy this, but showing you it gives us another opportunity to talk about this great charity. 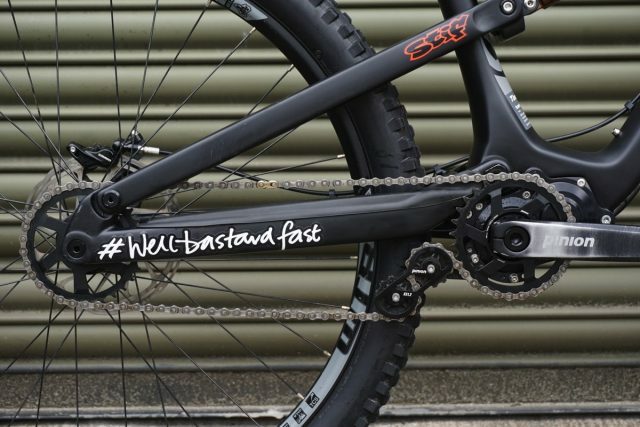 If you missed it earlier this week, check out the Buffalo Bike from World Bicycle Relief. 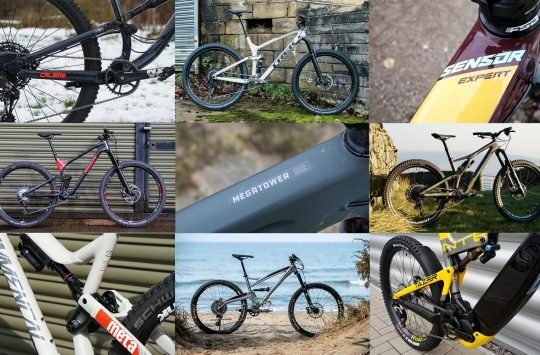 It’s a different kind of wonderful thing to a carbon superbike, but it’s still wonderful. Why not donate and feel a little warm and fuzzy? 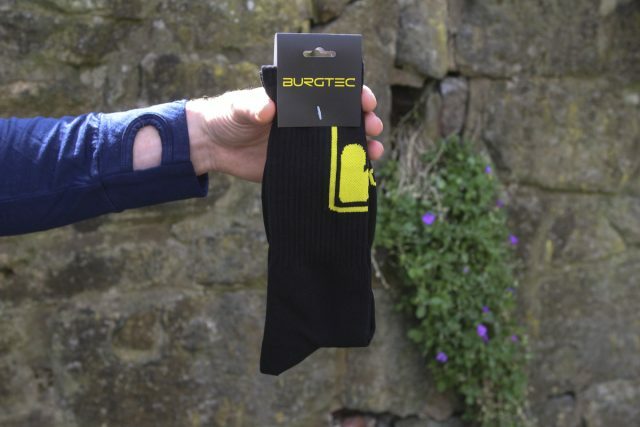 Socks suitable for downhill and enduro…we’re tempted to take them XC racing and see what happens. Apparently they are however compatible with all wheel sizes. Darling! You bought me earrings?! A 3D printed, really useful cable clamp to stop your cables rattling about and keep your front end from looking like the nest of large bird. 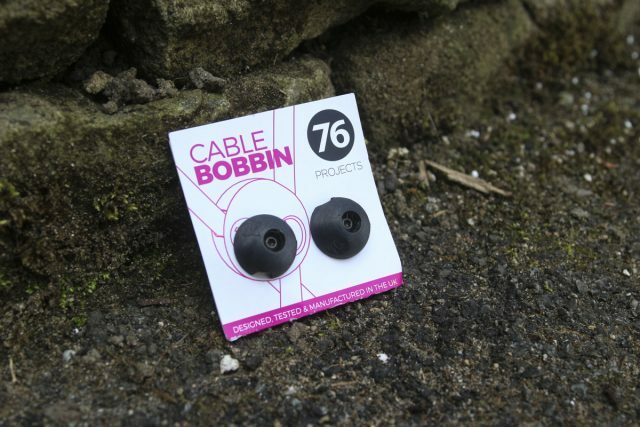 The two halves securely screw together and rotate to match the curvature of cables. Wil fit 4 & 5mm cable outers and are available in lots of colours to match your favourite toy. 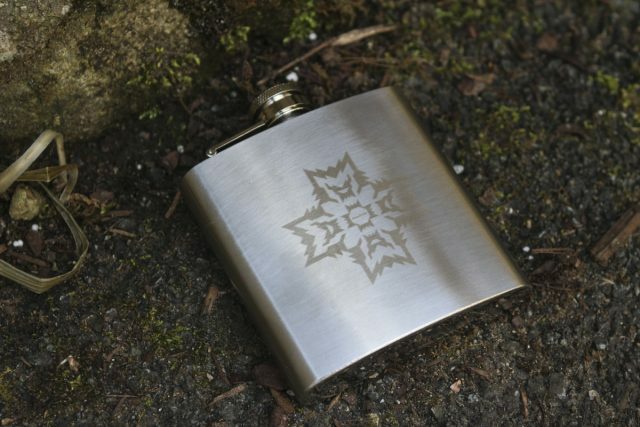 If you were at Tweedlove and had a ride on the new Marin Wolf ridge, then you could have earned yourself one of these. Though after Andi’s performance we can’t help but think it’s Andi who should have been giving gifts to Marin. 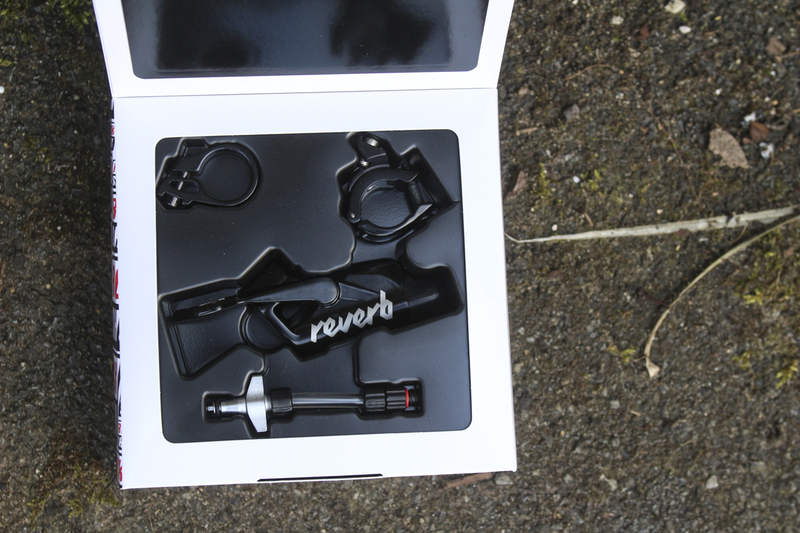 This is the 1x specific Reverb remote launched by SRAM in April. 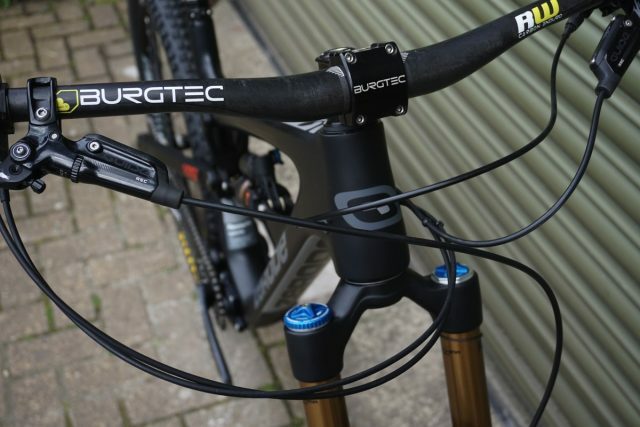 With a hydraulic action and paddle shifter, this may well be a popular upgrade from the original push button style remote. And so the weekend begins. 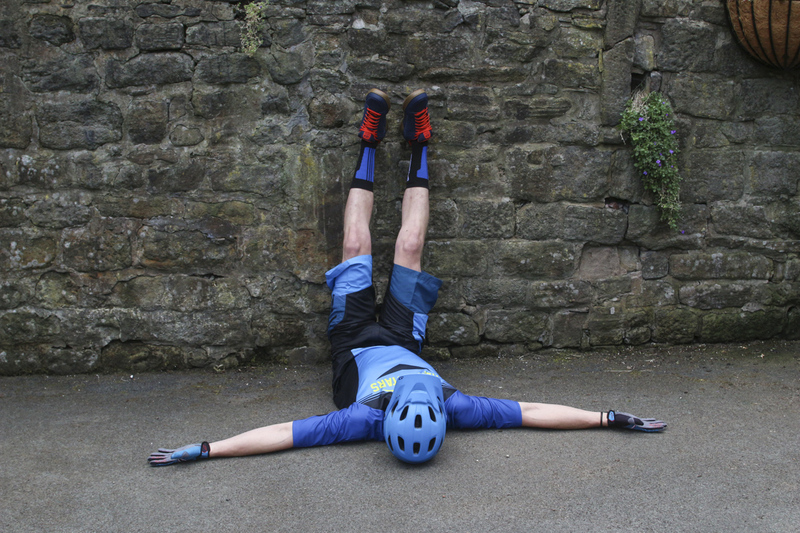 Many of the Singletrack crew are off to Mountain Mayhem, hopefully we’ll see lots of you there. Hannah is going to be attempting a solo effort, since the team that invited her to join in have all dropped out. Perhaps it’s all been a cunning plot from the start. Anyhow, when 24 hours on a bike beckons, it is important to get your earworms right. This should help in the wee small hours. And indeed might be an appropriate anthem for the week after the event too. 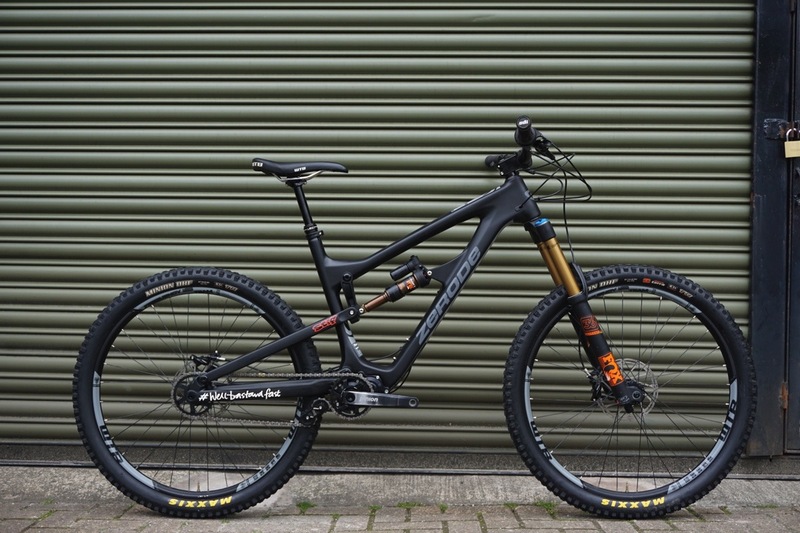 Who’s Going To Be At GO Outdoors Mountain Mayhem? Look at the elbow Hannah! 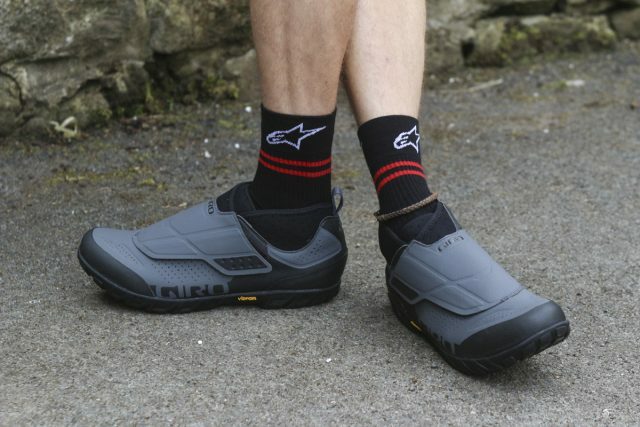 “Giro Terraduro Mid Shoes ■Price: £159.99 (shoes)” £160 for a pair of shoes!!! @MrAgreeable That’s what I was trying to do! And hence I hit the elbow. I am not good at hand eye coordination. Wow. 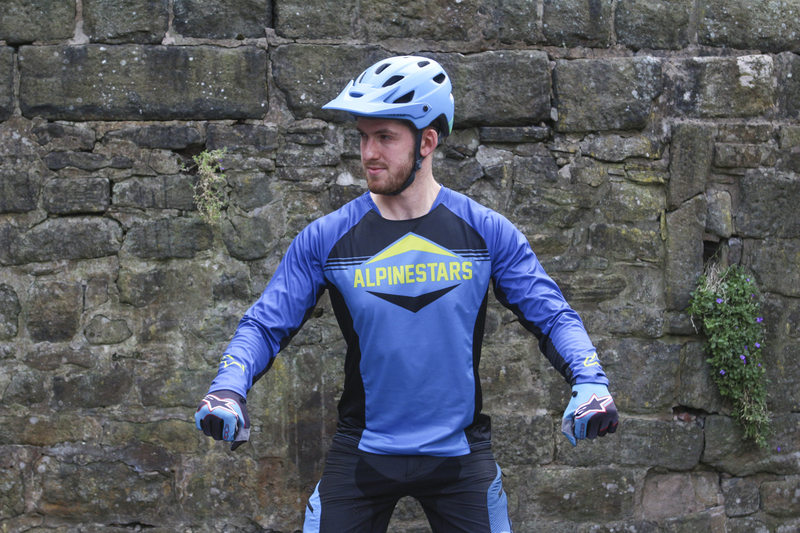 Those clothes actually put me off riding a bike. You look like Power Rangers. 4 year old Power Rangers. You have reached Barney standard. 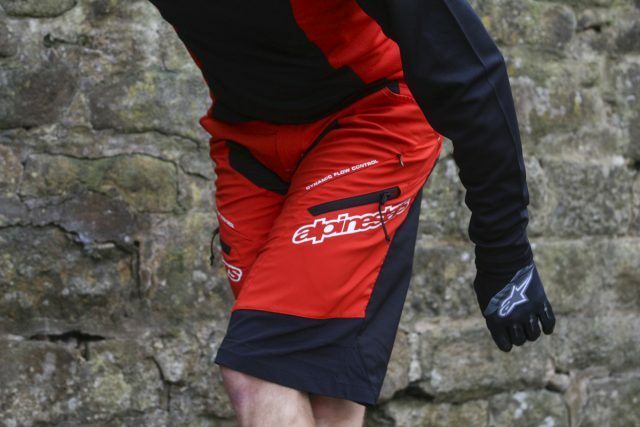 Tough shorts by Alpinestars?? Now that is new! Liking those turquoise Giro pumps!